All teaching staff at the Shiatsu College are fully accredited professionals, with years of experience. In 1997, Helena graduated with a Diploma in Bio-Energy from Michael Daltons Bio-Energy Association. Although, she loved this way of working with the energies, after a year of practicing with clients she sought to deepen her understanding of the body. Following an introductory course on Shiatsu, Helena found what she was looking for. She completed her three years studies receiving a Diploma in Shiatsu in 2000. This was to broaden her understanding of the physical, emotional and energetic body and why pain and disease visit us. It taught her how Shiatsu alleviates symptoms and brings balance and relieves tension and stiffness. The combining of these two therapies has resulted in a more beneficial and rounded treatment. Over the years, since practising, in both the corporate and private world, Helena’s clients have found great relief from their symptoms. It was in 2008 that Helena sought to broaden the public’s awareness, knowledge and understanding of the wonderful and highly beneficial therapy of Shiatsu. 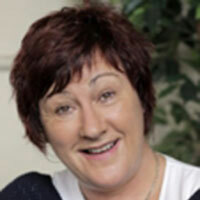 She opened Shiatsu College Dublin which is now a thriving educational source for students from all over the country. As well as director of the college Helena shares her experience through her teaching of Post Graduate courses. 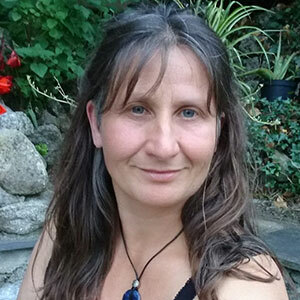 She combines her knowledge and experience of both Bio-Energy & Shiatsu to provide CPD courses such as ‘Energy Release for Fibromyalgia’, ‘Tuning into your Intuition’ and ‘Shiatsu Light Body’. Recently, Helena has joined forces with Northside Fibromyalgia to provide a monthly clinic to its members. The results and feedback have been amazing and Helena hopes to expand this clinic services to many other associations. Following a dance career in London, Julien trained at the British School of Shiatsu-Do in London and qualified in the practice of Zen Shiatsu in 2000. 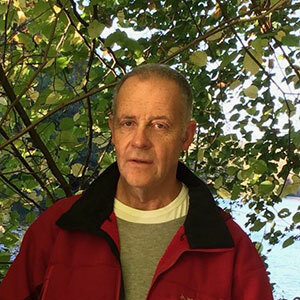 In addition to his former training Julien completed a 2-year postgraduate course in Shin So Shiatsu in 2008, with Shiatsu Master Tetsuro Saito. Together with Shiatsu, Julien is a practicing Gestalt psychotherapist and an Advance Pilates Instructor. Julien continues to deepen his work and understanding of the movement of Chi in the interconnectedness that exists in the holistic spheres between the physical and emotional body and the spirit/environment. Julien is currently completing a Masters in Gestalt Psychotherapy with Carlow Institute of Technology. 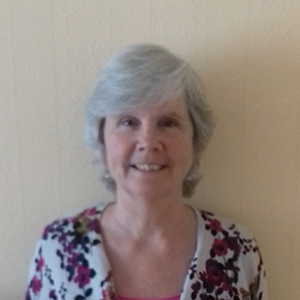 Julie completed her diploma in shiatsu in 2014 and in addition to having a private practice has spent the last 2 years training as a shiatsu teacher. Julie has previous training and experience in swedish massage, reflexology and I.E.T. Adam has studied both body work and Chi Kung since 1990. This began with receiving Alexander Technique and also starting to study Tai Chi Chuan, and has developed with the main focus being upon the intergration of mind, body and spirit. Graduating from the British School of Shiatsu Do (BSS-DO) in 1997 Adam became a member of the teaching staff at the BSS-DO in 2000. He is also a registered teacher with the Shiatsu Society (UK) MRSST. Adam served a three year term as a member of the Professional Specific Board (PSB) for Shiatsu as a representative for the Complementary & Natural Healthcare Council (CNHC). Meike completed the three-year Diploma course with the Shiatsu College Dublin in 2012 with distinction, is a member of The Shiatsu Society of Ireland (SSI) and holds weekly clinics both in New Ross, Co. Wexford and Thomastown, Co. Kilkenny. From 2001 till 2007 she studied Mindfulness and Compassion Meditation under the guidance of Tibetan Buddhist Teacher Lama Tschaglung Tulku Ngawang Gelek in Berlin. Meike has a background in Biology and received a Master of Science from Osnabruck University in Germany. She has a keen interest in unifying scientific research and eastern philosophy and applying this knowledge into body work. For her, practising and teaching Shiatsu gives her the opportunity to further explore and develop this.